Cand vine vorba de tinute simple si feminine, cu siguranta nu putem da gres purtand culori pastelate. Preferata mea dintre aceste culori este cu siguranta rozul pastel (altfel numit si baby sau powder pink). Ce alta culoare poate fi mai feminina decat rozul? Desigur, rozul e culoarea pe care cu toate am preferat-o in copilarie, des asociata cu papusile Barbie, printesele si alte astfel de lucruri copilaresti, insa se pare ca rozul pastel este preferat de din ce in ce mai multe femei. When talking about girly outfits, we sure can’t go wrong wearing pastel colours. If I had to choose, my favourite pastel would certainly be the baby (or powder if you prefer) pink. What other color could be more feminine than pink? 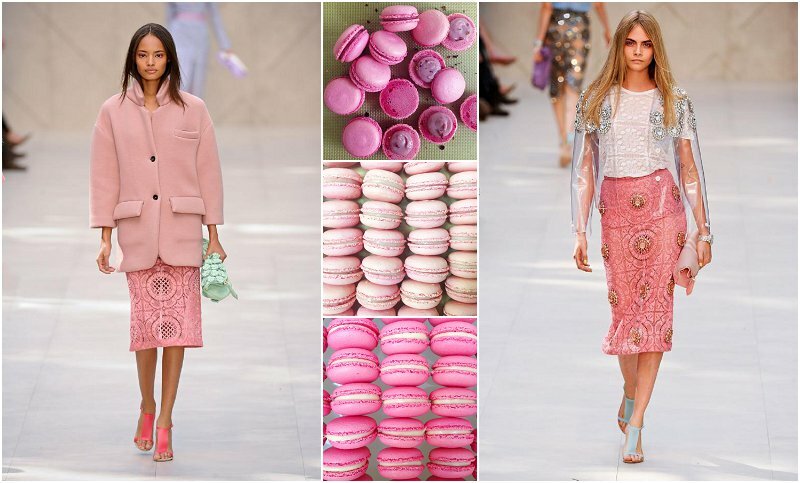 of course, pink is the shade we all wore when we were little girls, often associated with Barbie dolls, princesses and other child-like stuff, but in spite of all this it seems that pastel pink is more and more appreciated by women. Summer makes me happy, one of the reasons for this is the fact that I was born on a summer day. Usually when it’s warm outside, I tend to be more positive than I am in the rest of the time ( I think pink :D) and I want to show this in every way possible, even through the colors in my look. Few days ago I got a really nice tan, and what better way to emphasize it other than wearing light colors and gold accessories? I thought that the best way to style the pink top would be by wearing it with a white peplum skirt and golden details. I really like the result. A simple, yet chic look, girly and perfect for summer days. Cu toate ca iubesc foarte mult vara, uneori ma plang de temperaturile ridicate, dar de fapt nu e neaparat pentru ca nu mi-ar placea, ci pentru ca vara e parca mai perfecta atunci cand esti la mare, stai pe sezlong savurand un cocktail cu umbrelute colorate, sau cand te scalzi in valurile racoritoare ale marii. Oh…de ce nu-i marea mai aproape de mine?! Pana voi ajunge eu la mare (ca invers din pacate nu se poate, haha), ma consolez cu prezenta la piscina sau la strand, si cu soarele asta frumos care din fericire nu pare ca ar vrea sa plece. Altough I really love summer, I sometimes complain about high temperatures, but not because it bothers me, but because I would rather be at the beach, enjoying a freshly made cocktail or bathing in the blue neverending waves. Oh…why am I so far away from the beach? Well, until I’ll go to the beach (’cause the other way around isn’t possible, haha), I’m going to have to settle for going to the swimming pool and enjoy the bright and beautiful sun. Because during summer wearing a light, simple make-up is the best way to go, the beautiful Carmen C. helps us with a make-up tutorial that suits this outfit perfectly. You can watch it on her youtube channel ( here ) or on her personal blog ( here ). Thanks for reading and stay tuned for upcoming posts!